The Instant Masala Oats Kuzhi Paniyaram Recipe, is a twist to the traditional kuzhi paniyaram which is made using leftover idli or dosa batter. 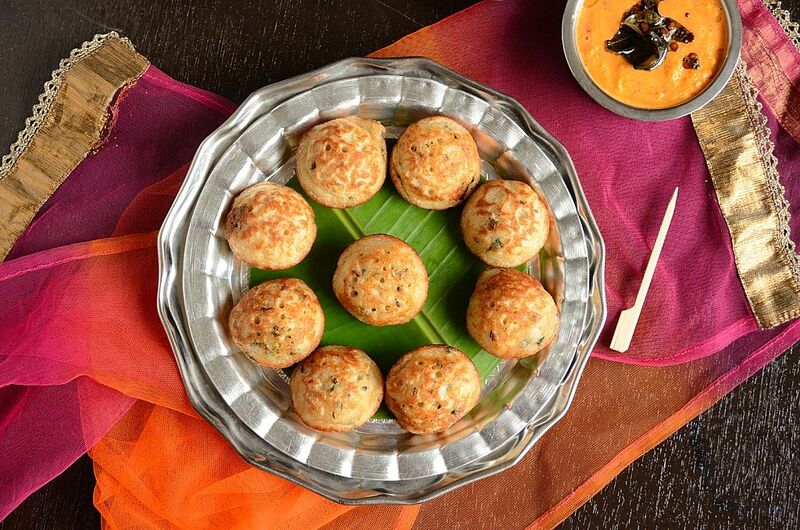 Oats kuzhi paniyaram is an instant and easy to cook dish. There is no soaking, no fermentation involved. If you are in a hurry to whip up a quick and healthy breakfast you can make this quick oats kuzhi paniyaram recipe. Serve the Instant Masala Oats Kuzhi Paniyaram along with Coconut Chutney or Tomato Chutney and South Indian Filter Coffee for breakfast or as a tea time snack or even pack it into a lunch box for kids.